The Barbara F. Guzovsky Preschool blends Judaic and secular subjects into a program that is rich, fulfilling, and stimulating. It is dedicated to meeting each child’s physical, emotional, intellectual, and spiritual needs. The educational environment is dynamic, constantly changing. As early childhood educators, we keep our curriculum on the cutting edge – continually updating our programming to keep pace with new developments in the field of early childhood education. We focus on giving children skills necessary for blossoming into maturity: math and reading readiness skills, art, drama, and music. As a Jewish preschool, we teach Jewish identity – the joy of being a Jew. At the heart of our program is our desire to nurture in our children a concern, kindness, and sensitivity for their fellow human beings. The children will learn to recognize the letters and their sounds. They will also become familiar with a few Hebrew words beginning with the letter of the week. We will play different games to help the children review. Once they know the Alef-Bais they will be introduced to the Nekudos and learn how together with letter they form words. The children will learn the letters and the sounds of the A-B-C’s. They will also become familiar with a few words beginning with the letter of the week, and emphasize the letters through projects and activities. We encourage children to come up with their own words / names beginning with the letter of the week. At times, we persuade our children to give a try at reading. We also practice writing through dictation (letter – by – letter). By the end of the Kindergarten most of the children will be able to read simple words. The children begin with number recognition, and basic counting. By the end of the Kindergarten, besides practicing to count to 50, our children also learn simple addition, counting money, and how to tell time. Our goal is to instill in our children a love of Torah and Mitzvos. 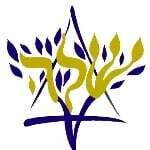 The Mitzvos are introduced through the Parsha, holidays, or the letter of the Alef-Bais they begin with. We encourage parents to write Mitzvah notes for their children at every possible opportunity. The children will enjoy the many stories of the Chumash and much more as we explore the Parsha of the week. They will create fun projects to reinforce the story and to assist them in telling over the Parsha at the Shabbos table. They will also receive Parsha questions every Friday to encourage them to speak about it. Prior to each holiday the children will be introduced to the holiday, its background, stories, laws and customs through songs, activities and projects. The children learn about the significance of Shabbos and feel the atmosphere which surrounds this special day. Shaloh House children enjoy the fresh outside air every single day. We play on the playground, and invent different outside activities and games. Fine motor skills are developed through daily arts and crafts activities, which include painting, drawing, pasting, cutting, etc. In Pre-Kindergarten and Kindergarten children learn to write Hebrew and English letters and numbers. They practice writing their names both in English and in Hebrew.